Life can get better. People can change. 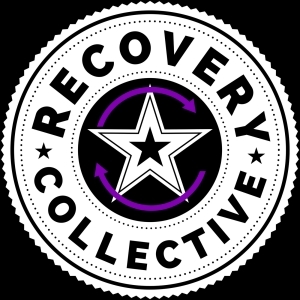 People can recover. People can achieve happiness and contentment in life. People can improve their circumstances and outcomes. More than idealism, I speak from the realism produced from direct personal experience. New careers get launched, new relationships are born, new lifestyles afford new freedoms, and a new serenity becomes reality. This for the 5% who have the courage to stay the course and to stop complaining. Most limits are illusions. They are self-made, self-imposed excuses to stagnate and never challenge the status-quo. Good things do happen for those who persevere and engage in responsible risk-taking vs. only risk-talking. It has to start with helping yourself first. At every seminar of his I’ve ever attended, Tony Robbins always talks about striving to get the “juice” out of life. He encourages people to pursue those passions that move them and really mean something to them. He claims that this “juice” is what everyone longs to drink-in, but are held back from its pursuit for any number of different reasons. I believe that to really get the “juice” out of something requires enduring the pressure that comes along with change and risk. Change isn’t easy, but possible provided people endure the challenges and reap the rewards that pressure produces. 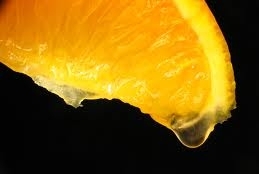 To get the juice out of an orange requires it to be squeezed… sometimes very hard, for some time, for any results to become evident. I’ve heard it said that pain is the greatest teacher. People need to be pressed, pressured, and endure pain sometimes as well to get at this proverbial “juice.” Getting real uncomfortable is often THE prerequisite for change. Adding pressure and squeezing for improved performance is often necessary to truly be moved and motivated toward the changes required to get the most out of our life situations. This “juice” resides not on the easy-to-see exterior, but on the harder-to-reach interior. It requires getting honest and telling ourselves the truth. Once able to look ourselves in the mirror with a respect that’s free of regret, the pressure begins to become more manageable. Options become more prevalent and happiness begins to become more abundant. It ‘ain’t always easy, and it ‘aint always fun, but it can be done. It starts with a little hope mixed with a lot of determination, and then the courage to make the first move in a different direction.